I will admit it: I was wrong. For weeks, I have been proclaiming that I was sure John Simm’s Master was inside the vault, and this sixth episode has confirmed that the person inside was, in fact, Missy -although she is also the Master, so I was sort of right, anyway. This early reveal definitely helps this series get more action, instead of dragging that mystery all the way to the finale. But let’s break down the episode, which was like something out of a Dan Brown novel. Let’s begin with the main plot, which is one of the best constructed ones I have seen in recent Doctor Who years, and which helped me cement my thesis that this is not at all a children’s show anymore. The whole of ‘Extremis’ is a story told to the Doctor via email, although the thrill consists of not knowing this until the very end. In what we later learn to be an alternate world (or shadow world) created by a weird demon orc monk to practise how to invade the world (like a VR to get himself ready for the real thing later), the Doctor receives the visit of the Pope himself, who needs his help with the Veritas, a thousands of years old text that causes everyone who reads it to commit suicide. Charming. 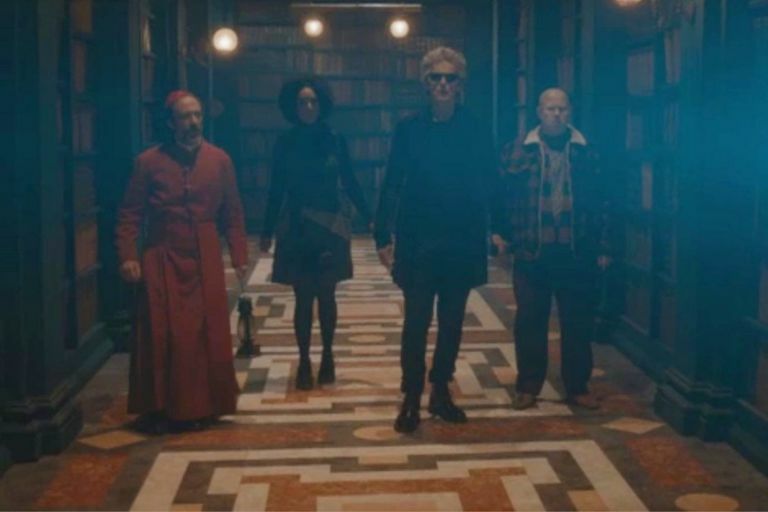 The Doctor, Nardole and Bill (who is hilariously interrupted during a date) visit the Vatican’s Haereticum, where the text is, and here, Nardole and Bill discover a room full of portals to different places while the Doctor “reads” the Veritas itself. Long story short, they eventually realise that they are not real, but a creation for this VR, but honestly, it was like something out of a thriller or a horror film -there is nothing more terrifying that discovering you don’t exist when you are 100% convinced that you are real. Brilliant, Moffat. Our Doctor, of course, makes the last minute saving decision of sending his real self an email with everything his sunglasses have been filming. But the best here comes in flashbacks throughout the episode, in which we learn that a group of people from an unknown race (and led by Humans‘ Ivanno Jeremiah) are about to execute Missy, and it is the Doctor who has to do it, himself being a Time Lord, blah blah, to then put her body in the vault and guard it for a thousand years. Usual caretaker stuff. Luckily for Missy, Nardole arrives with River Song’s journal and words of wisdom, and the Doctor decides to help Missy out instead of killing her. Now the question is, how long until Missy ultimately leaves the vault? And I know it has to do with John Simm, I’m not going to stop mentioning his name. -If you are not sure about something being right and suddenly the Pope bursts in yelling in Italian, there’s no way you’re going to do it again. -Now we know why Nardole stayed with the Doctor after ‘The Husbands of River Song’. -I was wondering: we know the TARDIS translates every language, so why could we hear the cardinals and priests speak English, yet the Pope was speaking Italian the whole time? 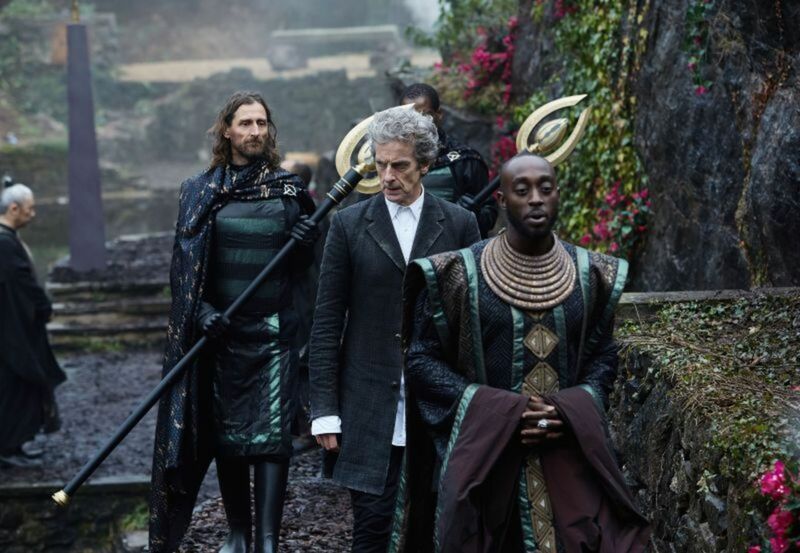 Is the TARDIS unauthorised to translate higher authorities? Is it because it was the shadow world? -Not only did this episode feel like a Dan Brown novel. At some points, it was like reading Angels & Demonds mixed with a plotline in which the video from The Ring is an ancient text. -The scary plotline of nobody being real, by the way, reminded me of when Amy turned out to be a Ganger, yet she was so convinced she was the real deal. -“Pope Benedict. Lovely girl. What a night.” Fun fact, there is a legend about a pope who was a woman. I was wondering also about the Pope speaking Italian and the Cardinal having to translate it into English and I’m going with it’s the shadow world game and the aliens haven’t fixed that bug yet. Still not quite sure what happened to Missy and I hope they aren’t planning to make the Doctor blind until his regeneration.